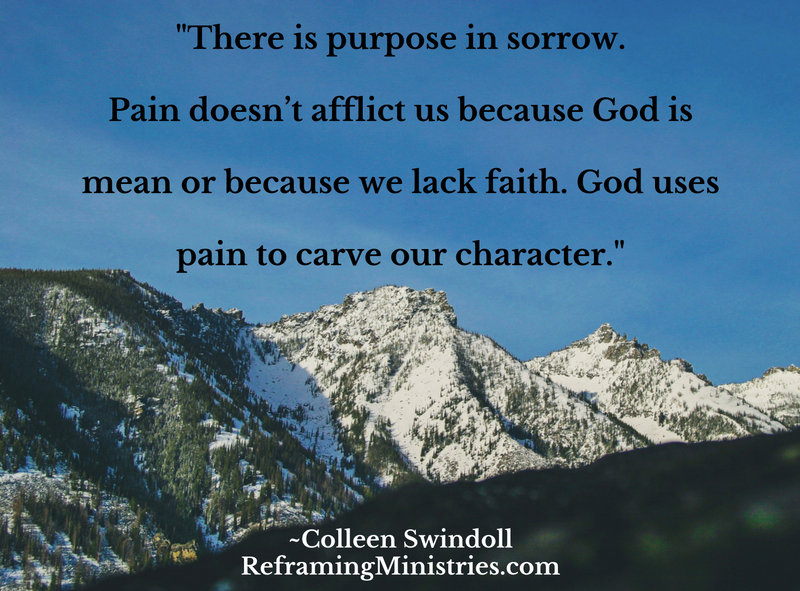 It’s not our job to evaluate God’s plan and decide if it’s up to par with what we want. 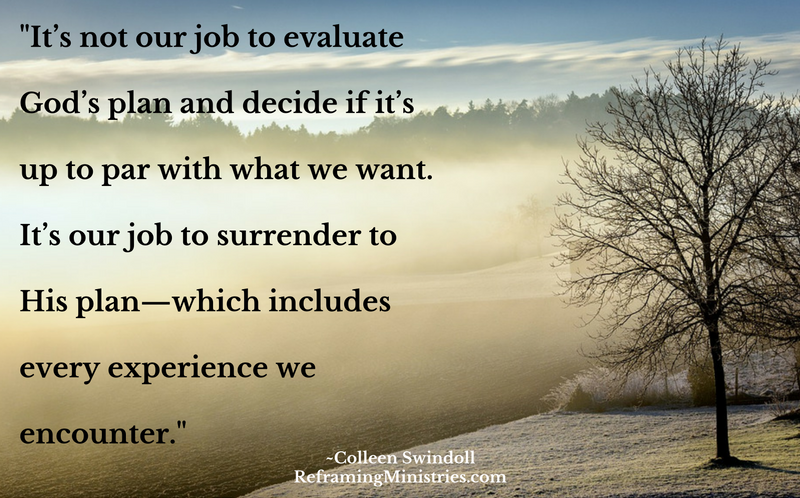 It’s our job to surrender to His plan–which includes every experience we encounter. 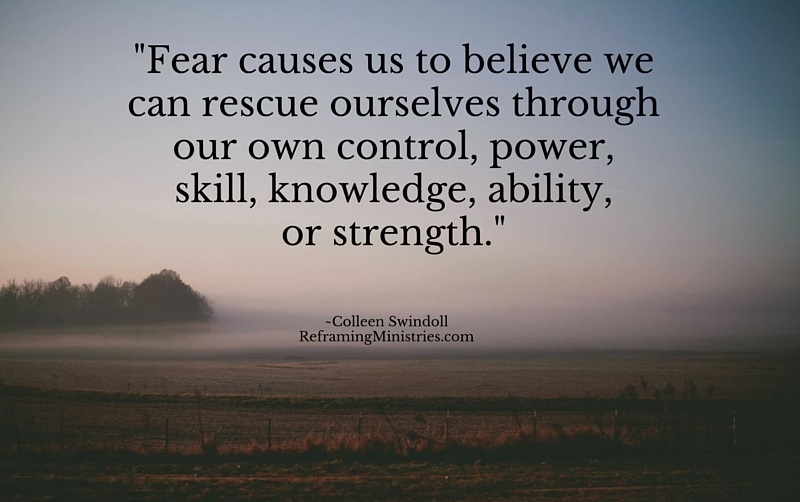 Fear causes us to believe we can rescue ourselves through our own control, power, skill, knowledge, ability, or strength. 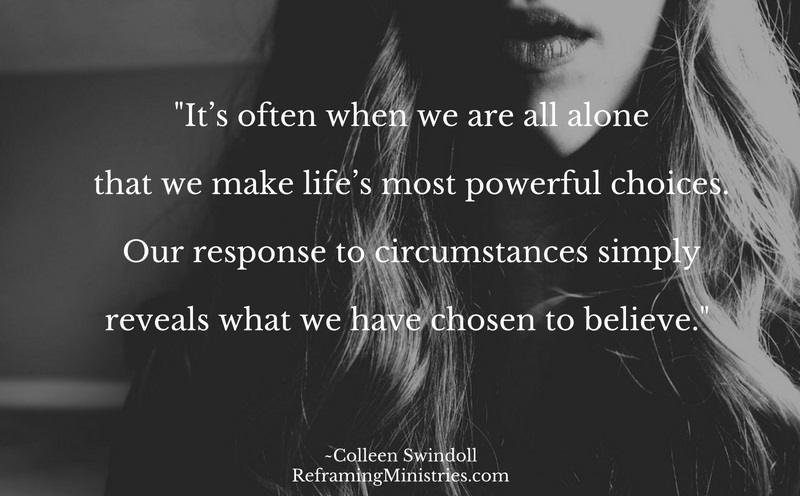 It’s often when we’re all alone that we make life’s most powerful choices. 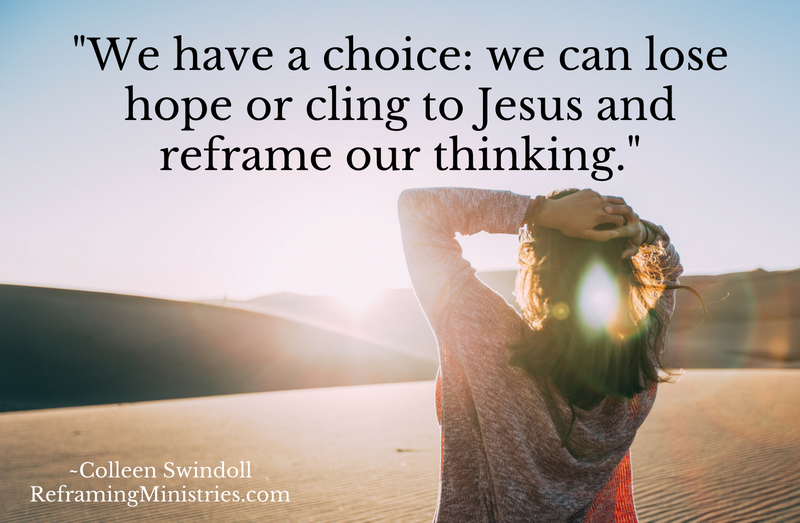 Our response to circumstances simply reveals what we have chosen to believe. 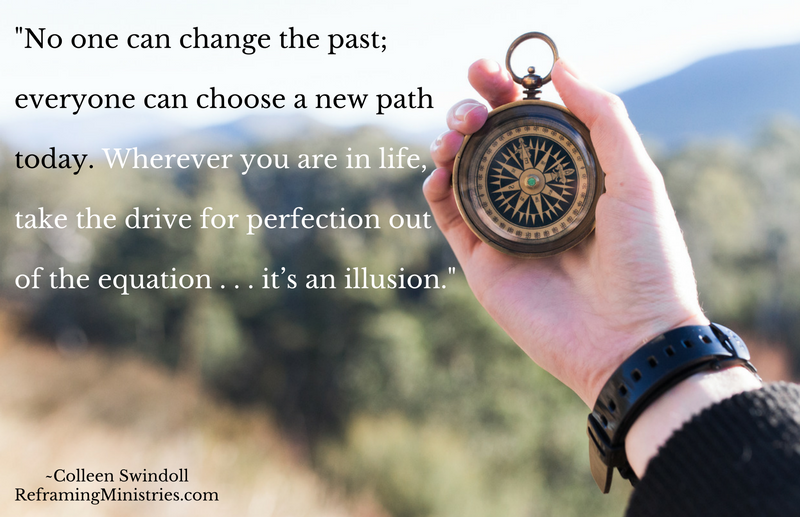 No one can change the past; everyone can choose a new path today. 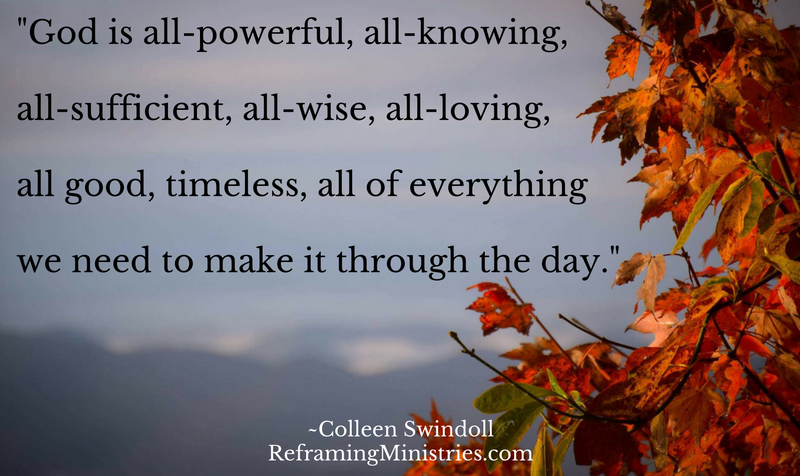 Wherever you are in life, take the drive for perfection out of the equation . . . it’s an illusion. 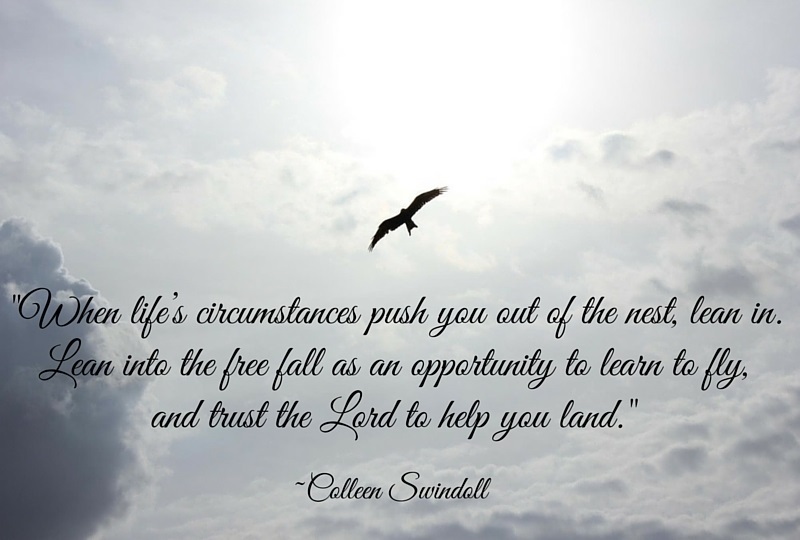 When life’s circumstances push you out of the nest, lean in. 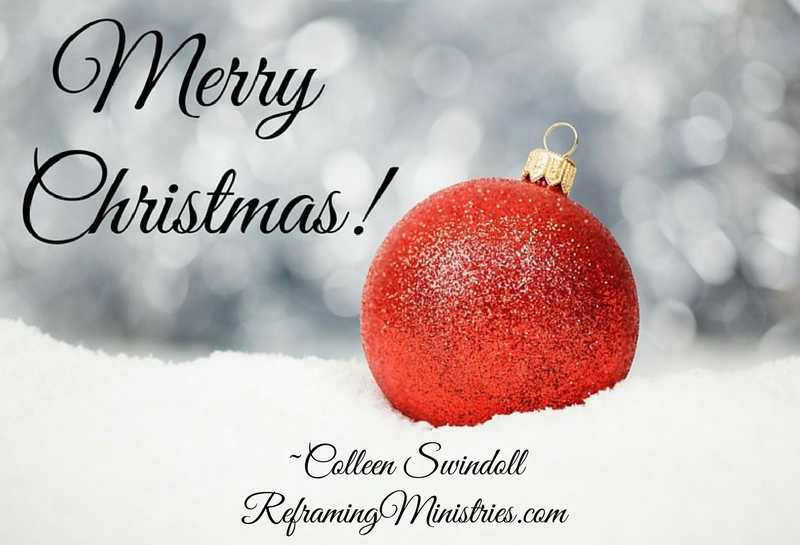 Lean into the free fall as an opportunity to learn to fly, and trust the Lord to help you land. 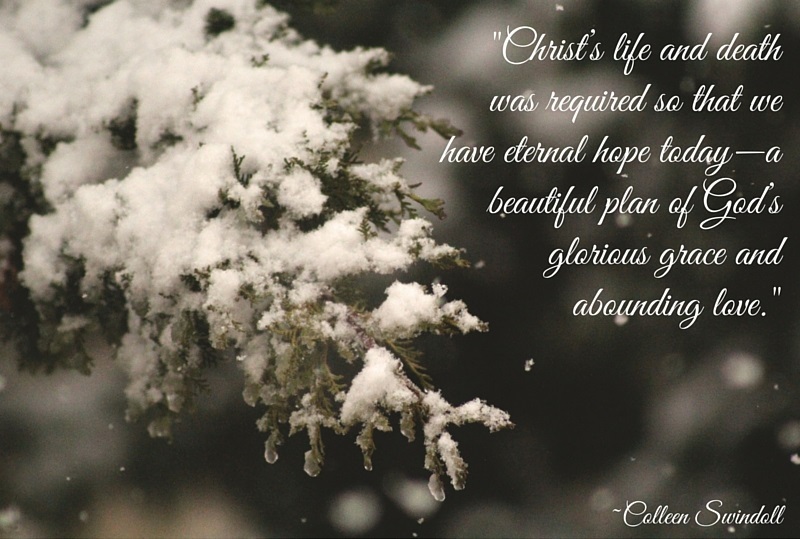 Christ’s life and death was required so that we have eternal hope today–a beautiful plan of God’s glorious grace and abounding love. 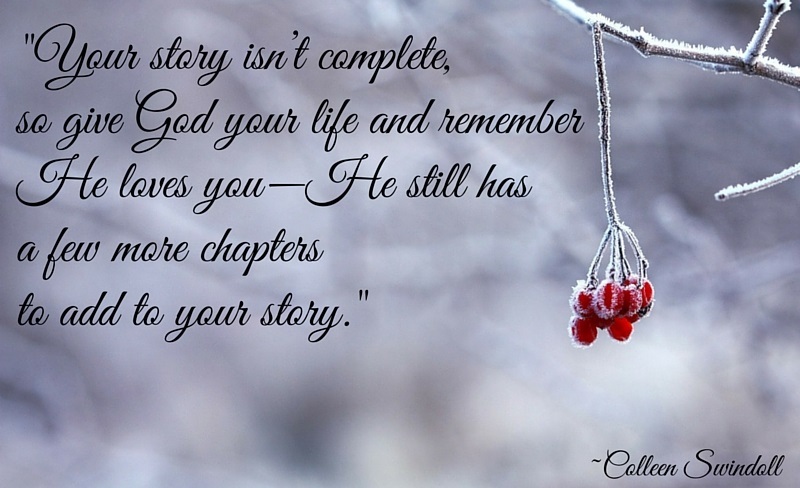 Your story isn’t complete, so give God your life and remember He loves you–He still has a few more chapters to add to your story. 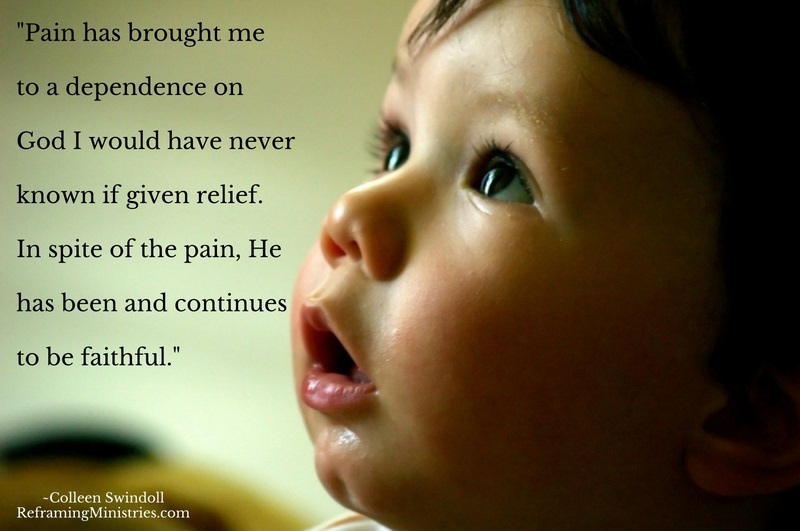 Pain has brought me to a dependence on God I would have never known if given relief. 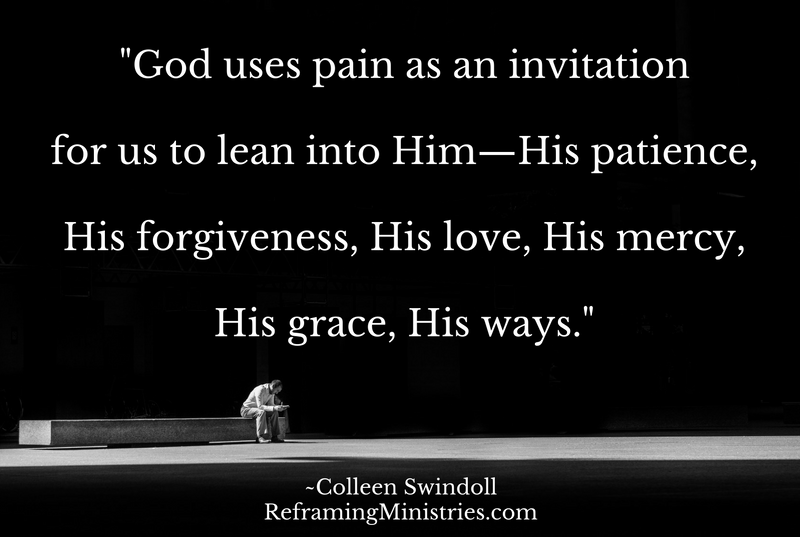 In spite of the pain, He has been and continues to be faithful. 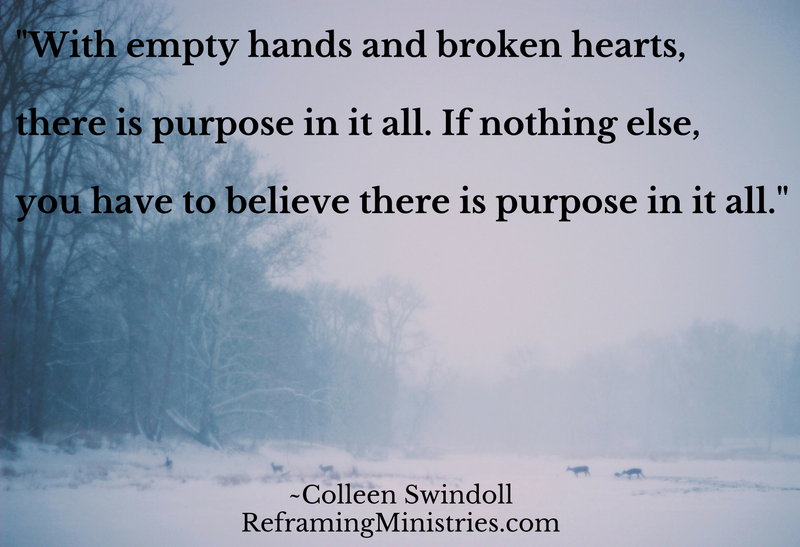 With empty hands and broken hearts, there is purpose in it all. 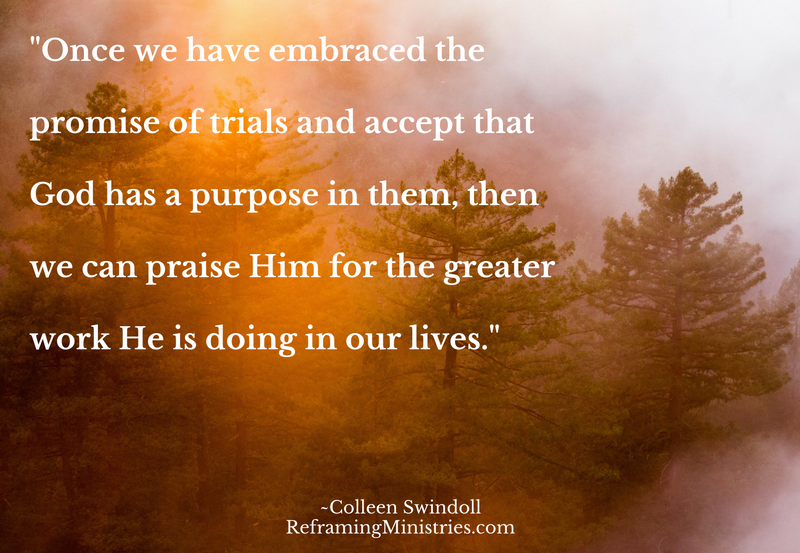 If nothing else, you have to believe there is purpose in it all. 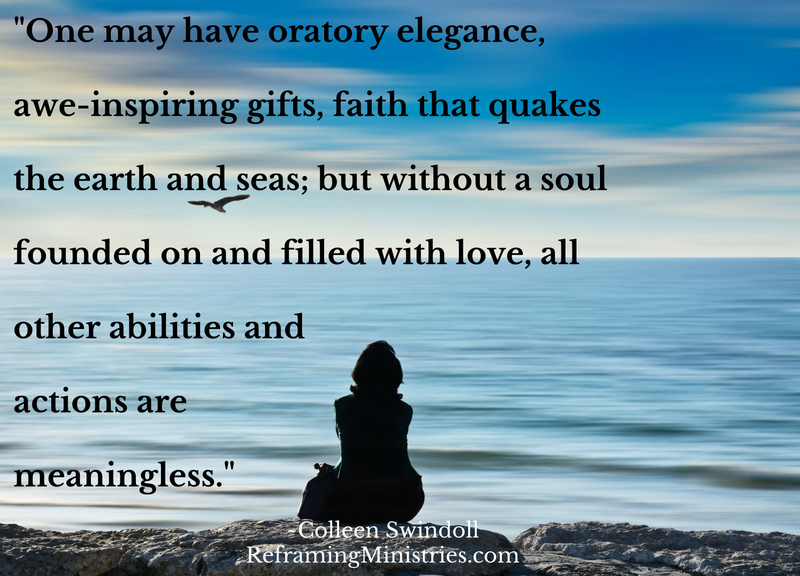 Bitterness can settle down deep into the soul and provoke us to retaliate or to try to prove something. 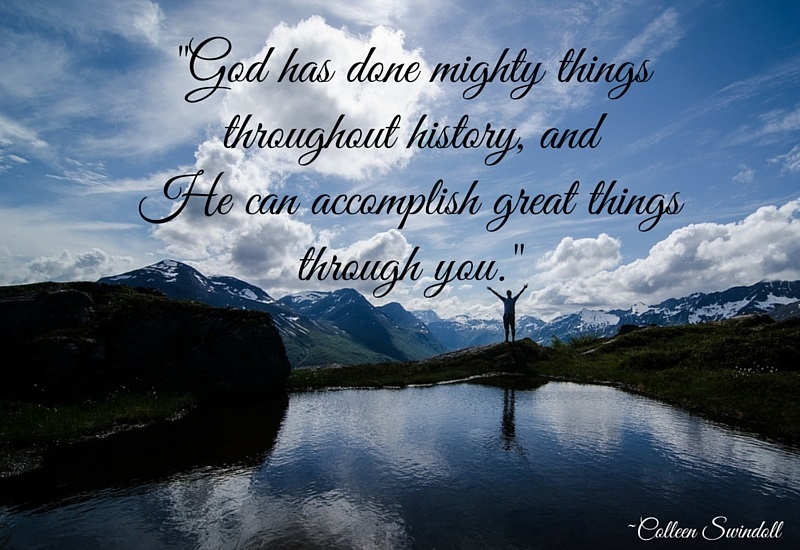 If there’s something you’re holding on to . . . 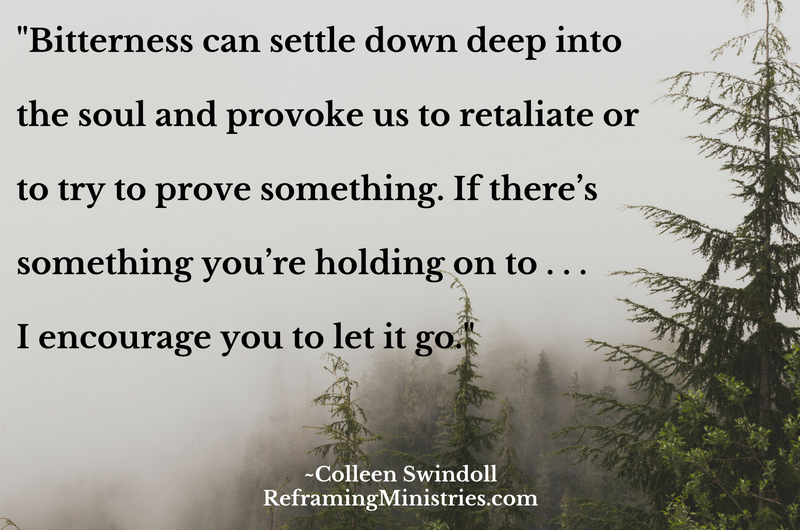 I encourage you to let it go. 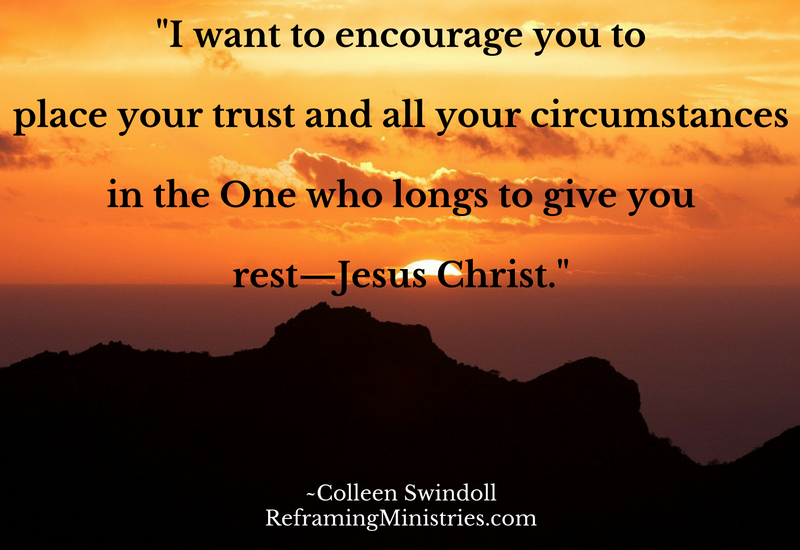 I want to encourage you to place your trust and all your circumstances in the One who longs to give you rest–Jesus Christ. 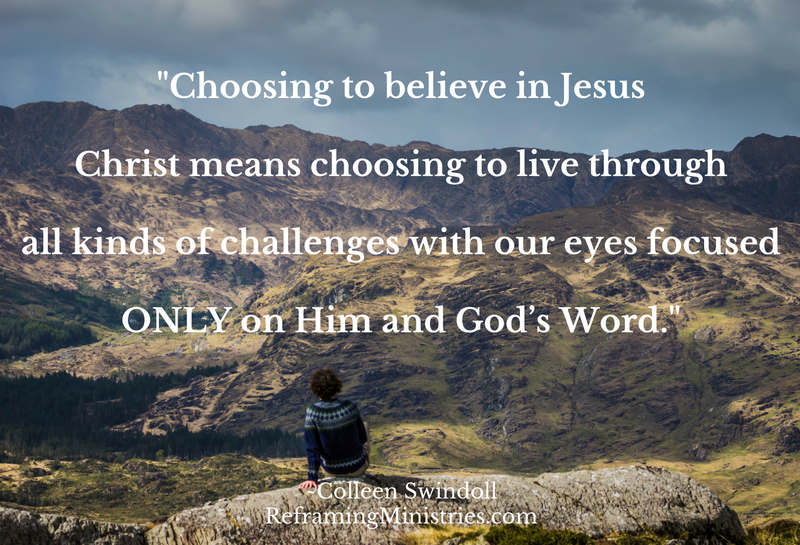 Choosing to believe in Jesus Christ means choosing to live through all kinds of challenges with our eyes focused ONLY on Him and God’s Word. 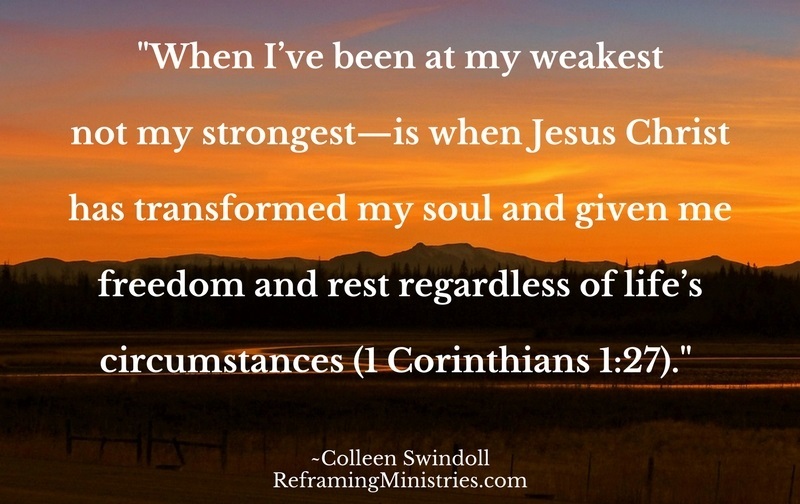 When I’ve been at my weakest not my strongest–is when Jesus Christ has transformed my soul and given me freedom and rest regardless of life’s circumstances (1 Corinthians 1:27). 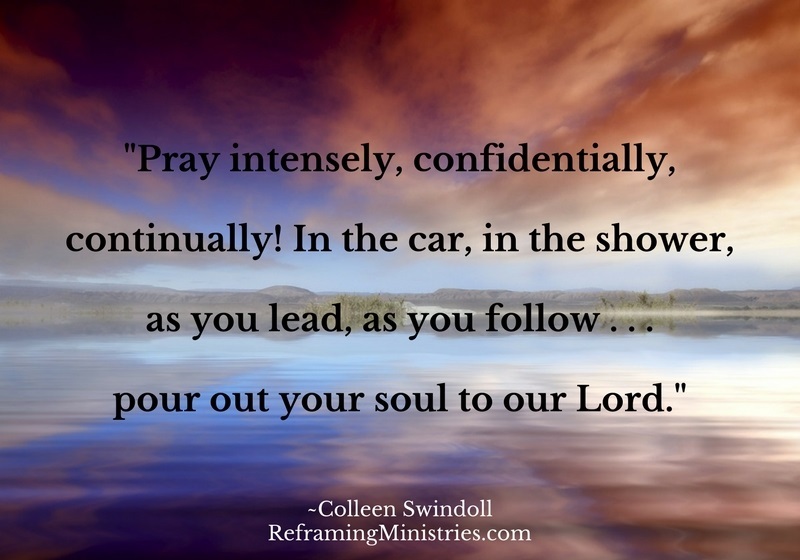 Pray intensely, confidentially, continually! 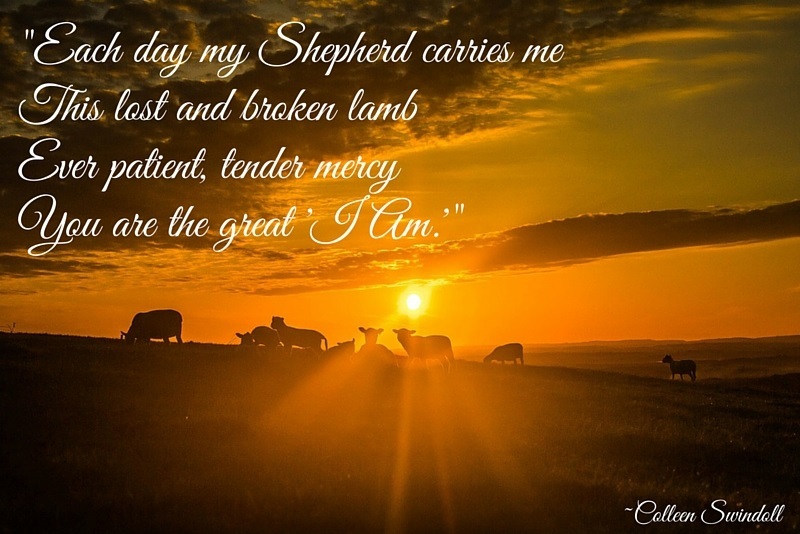 In the car, in the shower, as you lead, as you follow . 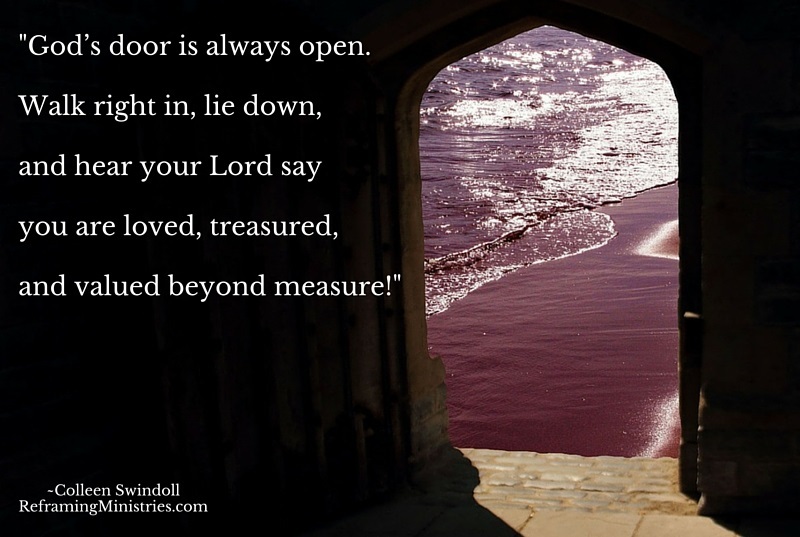 . . pour out your soul to our Lord.